Use FME to create large datasets that are ready to display in Cesium with high levels of detail. With Cesium, you can display entire cities with buildings, trees, floor plans, and even the furniture within a building! FME will help you funnel a variety of data into one file for optimal accessibility. Cesium is a 3D platform used for visualizing various features around the globe. The platform uses techniques learned from graphics research, the movie industry and the gaming industry to create high-level visuals of your 3D spatial data. With FME as your data sidekick, you will be able to develop models with highly detailed objects, like buildings and trees, in your Cesium 3D Tiles. Take your CAD models, point clouds, vectors or raster data and use them to develop highly detailed Cesium models. FME supports 400+ formats which you can read in, use transformers to manipulate, and then write out as Cesium b3dm 3D Tiles. Transformers like the Extruder and AppearanceSetter make it easy for you to design your model precisely for your needs - no coding required! Not only can you create custom workflows to transform your data, but you can also automate the running of your workflows based on a schedule or trigger. FME Server will help to save you time doing repeatable tasks so that you can spend more time working with your data. Don’t worry, be happy knowing everything is going to be alright! 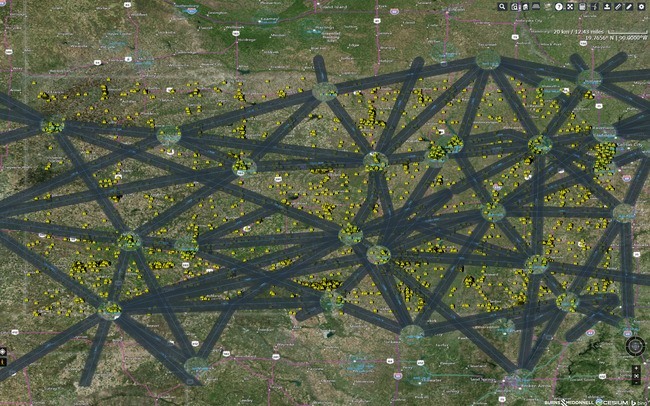 The Kansas Department of Transportation (KDOT) Aviation Portal is a Cesium based resource for users to visualize and browse datasets. With FME, KDOT can convert a variety of different data formats into Cesium compatible files for viewing. 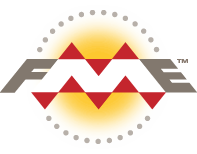 Additionally, FME Server helps with handling KDOT user requests and updating data each night to ensure users always have access to the most accurate and up-to-date information. Cesium 3D Tiles define a spatial data structure and a set of tile formats designed for streaming and rendering 3D geospatial content such as Photogrammetry, 3D Buildings, BIM/CAD, Instanced Features, and Point Clouds. FME lets you integrate many applications and file formats. Here are some of the ways our users convert Cesium 3D Tiles. The table below outlines how Cesium 3D Tiles is supported by our different FME products, and on which platform(s) the reader and/or writer runs.